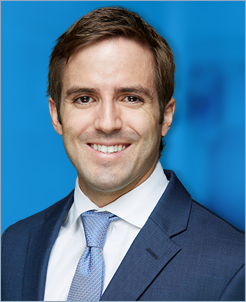 Dr. Sean Baran is a board-certified, fellowship-trained orthopedic surgeon specializing in sports medicine and joint replacement surgery with a special interest in disorders of the hip and knee. He enjoys treating patients of a variety of ages and takes pride in helping his patients maintain an active lifestyle - whether that is helping an athlete get back to sports following an injury or an arthritic patient get back to everyday life in less pain following joint replacement surgery. I enjoy getting to know my patients so that I can better understand each person’s unique concerns and goals. I provide a thorough evaluation and then educate each patient about the diagnosis and potential solutions. I work hard to answer each patient’s questions so that we can work together in pursing care that is focused on satisfaction and outcomes. Revisiting the Anterior Glenoid: An Analysis of the Calcified Cartilage Layer, Capsulolabral Complex, and Glenoid Bone Density. Karns MR, Epperson RT, Baran S, Nielsen MB, Taylor NB, Burks RT. Arthroscopy. 2018 Aug;34(8):2309-2318. doi: 10.1016/j.arthro.2018.03.017. Epub 2018 Jul 7. PMID: 30078426. A Comprehensive Evaluation of Factors Affecting Healing, Range of Motion, Strength, and Patient-Reported Outcomes After Arthroscopic Rotator Cuff Repair. Wylie JD, Baran S, Belisle JG, Granger EK, Tashjian RZ. Orthop J Sports Med. 2018 Jan 16;6(1):2325967117750104. doi: 10.1177/2325967117750104. eCollection 2018 Jan.
Factors influencing direct clinical costs of outpatient arthroscopic rotator cuff repair surgery. Tashjian RZ, Belisle J, Baran S, Granger EK, Nelson RE, Burks RT, Greis PE.J Shoulder Elbow Surg. 2018 Feb;27(2):237-241. doi: 10.1016/j.jse.2017.07.011. Epub 2017 Sep 28. Baran S, Belisle JG, Granger EK, Tashjian RZ. Functional and Radiographic Outcomes after Allograft Anatomic Coracoclavicular Ligament Reconstruction. JOT. In submission. Baran S, Ramaesh R, Bringe KE, Shin AY, Kakar S. Does Immediately Following a Dirty Case with a Clean Case Predict Infection. In Submission. Krych AJ, Shindle MJ, Baran S, Warren RF. Isolated arthroscopic rotator interval closure for shoulder instability. Arthrosc Tech. 2013 Dec 14; 3(1):e35-8. Baran S, Krych AJ, Dahm DL. Arthroscopic repair of the floating posterior-inferior glenohumeral ligament lesion. Arthrosc Tech. 2013 Jun 7;2(3):e209-12. Baran S, Price C, Hak DJ. Diagnosing joint infections: synovial fluid differential is more sensitive than white blood cell count. Eur J Orthop Surg Traumatol. 2014 Dec; 24(8):1469-74. Krych AJ, Baran S, Kuzma SA, Smith HM, Johnson RL, Levy BA. Utility of multimodal analgesia with fascia iliaca blockade for acute pain management following hip arthroscopy. Knee Surg SportsTraumatol Arthrosc. 2014 Apr; 22(4):843-7. Hak DJ, Baran S, Stahel P. Sacral fractures: current strategies in diagnosis and management. Orthopedics. 2009 Oct; 32(10). Hieb AR, Baran S, Goodrich JA, Kugel JF. An 8 nt RNA triggers a rate-limiting shift of RNA polymerase II complexes in elongation. EMBO J. 2006 Jul 12; 25(13)3100-9. Baran S, Krych AJ, Kuzma SA, Smith HM, Jonson RL, Levy BA. Utility of Fascia Iliacus Blocks for Early Postoperative Pain Management Following Hip Arthroscopy. Baran S, Ramaesh R, Bringe KE, Shin AY, Kakar S. Does Immediately Following a Dirty Case with a Clean Case Predict Infection? Hak DJ, Baran S, Price C. Diagnosing Joint Infection: Synovial Fluid Differential is More Sensitive than White Cell Count. Baran S. 5’mRNA Capping in Eukaryotic Transcription Regulation.